Between 1845 and 1852 our population was reduced by about 20% due to the impacts of the Potato Famine in Ireland, also known as The Great Famine or in our native language ‘An Gorta Mór’. It is estimated that about one million people died from starvation during this period and another million emigrated to America and other countries. It is no surprise therefore that the potato famine has left its mark on the country and remnants of this poignant period in Irish history remain evident to this day. Strokestown Park is an 18th century Palladian mansion, and home of the Packenham Mahon family from 1653 until 1979. The Famine Museum is located in the stable yard and was established when an archive of papers relating to the management of the estate during the 1840s was discovered. This collection is now regarded as the best archive on the Potato Famine in Ireland and all documents are on display in the museum. The mansion house may also be visited and this gives a sense of what life was like for the richer, more fortunate people of this time. Workhouses had an important part to play during the famine times in Ireland. These were the places that the completely destitute went as a last resort, when the only alternative was to die of starvation. Families typically ended up here if they were evicted from their homes due to non-payment of rent. Once families entered a workhouse they were split up, oftentimes never seeing their loved ones again. 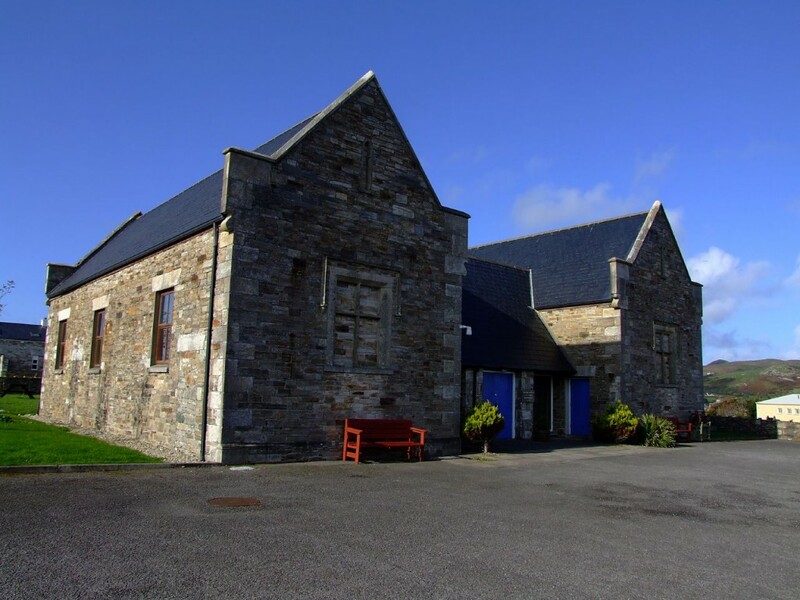 There are two great museums in Ireland that tell the story of the workhouse in authentic buildings that once served as workhouses for their communities; The Dunfanaghy Workhouse in County Donegal and the Irish Workhouse Centre County Galway. 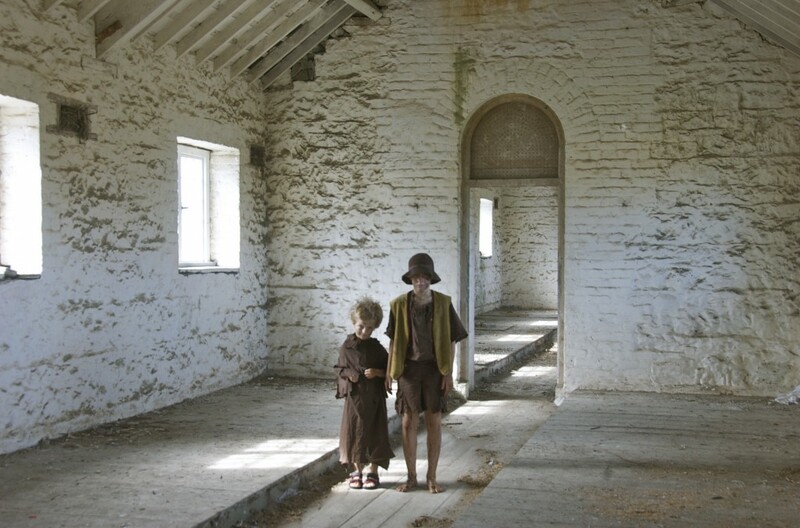 The first inmates of the Dunfanaghy workhouse were admitted in 1845 and parts of the building were restored and converted to exhibition space in the 1990’s to tell the story of the famine in the area. This story is told through the Wee Hannah Exhibition, which details the life of local girl Hannah Herrity as she struggled through the famine years and lived for a while in Dunfanaghy Workhouse. The Irish Workhouse Centre in Portumna is one of the most complete workhouses left in Ireland. The best way to see this exhibition is by guided tour where guides take you through every aspect of workhouse life from entry to the waiting hall to the girls and boys dormitories and laundry rooms. Discover what life was like for the inmates in what many refer to as the most feared and hated institutions ever established in Ireland. The ships that carried the emigrants escaping to North America and other countries were often referred to as Coffin ships due to the high mortality rate amongst lower class travellers. These ships were often overcrowded and disease ridden with shortages of food and water a common occurrence. Two of this type of ship can be seen in Ireland today, the Dunbrody in New Ross & the Jeannie Johnston in Dublin. 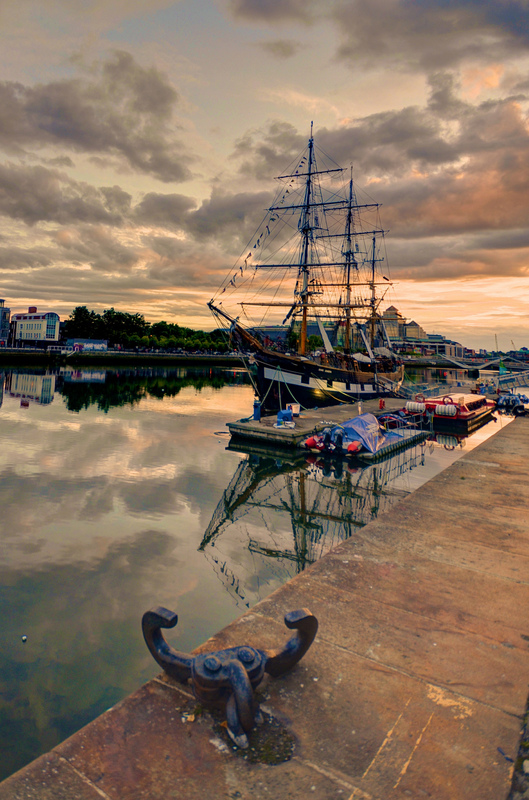 Situated close to the Famine Memorial (pictured with the introduction) in Dublin’s Custom House Quay, the Jeanie Johnston made 16 emigrant journeys to America between 1847 and 1855, it carried more than 2,500 people with no loss of life which is unusual for a ship of this kind. Your tour guide will show you the ships main features and tell you stories about some stories of the passengers that travelled upon it giving a sense of what the arduous journey to America from Ireland would have been like at that time. The Dunbrody is a similar type of ship moored at New Ross in county Wexford. Here you discover what life was like on board through guided tour with costumed performers and detailed exhibition models. Listen to accounts from a steerage and 1st class passenger as they explain the harsh realities of life aboard the ship. As well as the ship tour, at Dunbrody you can visit the Irish America Hall of Fame which details the contributions of Irish men and women to the history of the United States. Skibbereen was very badly affected by the great famine, losing about a third of its population to starvation, disease and emigration to America. 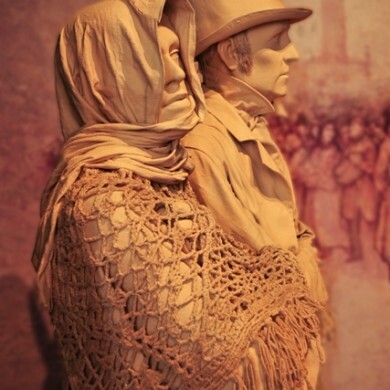 The heritage centre in Skibbereen has a great exhibition commemorating the Great Famine in Skibbereen. The Exhibition depicts the potato Famine through primary source accounts given at the time showing government policies and how they impacted the community. Reports from the relief committee and their efforts to lessen the suffering of local people are presented alongside reports of how the global community responded to the crisis. The port of Cobh was the most important port of Emigration from Ireland during the mass exodus between 1848 and 1950. Cobh Heritage centre details this exodus through informative exhibitions and several short films. The main attraction is a replica of cross sections of an emigrant’s ship showing what life was like for the various classes on board; the passengers cramped in steerage quarters, the comfortable first class cabins and even prisoner’s quarters where those who were being transported to Australia for their crimes were held. 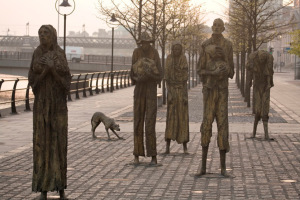 This exhibition tells you about the Irish famine and its causes and helps you to understand why so many people felt they had to leave their friends and family in Ireland for ever. On the grounds of Bunratty Castle you will find Bunratty Folk Park, a reconstructed village which includes shops, streets and houses that reflect the social status of their occupants, from the poorest one roomed dwelling not unlike those lived in by tenants during the famine period to a fine example of a Georgian Residence built for the Studdart Family in 1804. 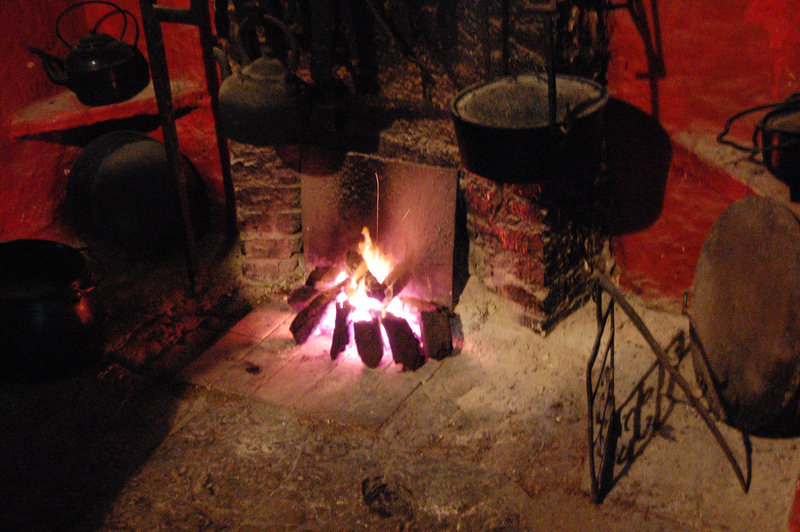 What’s great about Bunratty Folk Park is that reconstructed cottages from different areas of Ireland can be explored and their subtle differences encountered. The National Museum of Country Life is located near Castlebar, Co. Mayo. The Museum houses the National Folk-life Collection and portrays the lives of ordinary people in the hundred years between the Great Famine and the end of the 1950s. Here you will see the clothes that people typically wore during these times, their culture and traditions. See how people worked the land and sea and discover the trades essential for the survival of the community including the blacksmith, carpenter, thatcher, and cobbler. 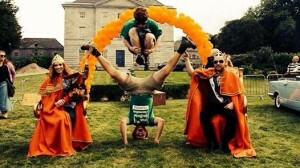 It can be said that Ireland loves a festival with a bit of character (to put it mildly! 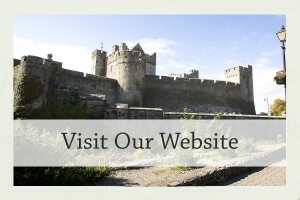 ), that’s probably why the Puck Fair Festival in Killorglin County Kerry has been going strong for more than 400 years! Every year a goat catcher makes their way up one of the Kerry Mountains to retrieve a wild goat. 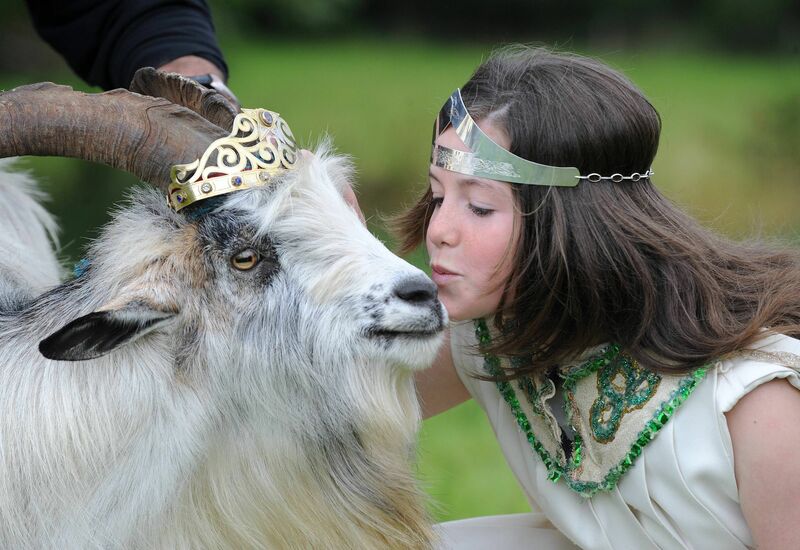 When the goat is brought back to the town a local young girl usually chosen from one of the national schools is named ‘Queen of Puck’ and crowns the goat ‘King Puck’. King Puck then spends three days on a high stand overlooking Killorglin town, to oversee the celebrations below and when the festival is ended he is safely returned from where he came. Festivities include live music, a live parade, workshops and street performers. What’s the history behind Puck Fair? It’s going on so long that nobody really knows why but the most widely told story is one involving Oliver Cromwell who came to Ireland with armed forces in 1649 with the intention of carrying on ‘’the great work against the barbarous and blood-thirsty Irish’’. The story of Puck tells us that while Cromwell and his men were pillaging the countryside they rounded a heard of wild goats from the mountain. One of the goats then broke free and made his way to Killorglin town and alerted the townsfolk to Cromwell’s arrival giving them time to prepare themselves for defence. It is said that in gratitude for the service rendered by that goat that the people decided to put on a special festival in his honour and this festival has been held ever since. 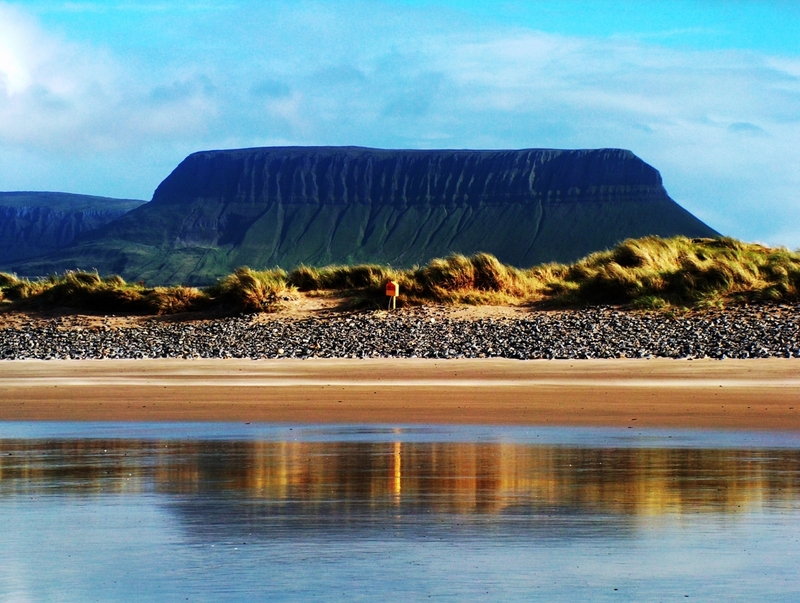 Wondering what kind of outdoor experience there is in Ireland for kids and families to enjoy? Then look no further! Dublin Zoo, Dublin: in the Phoenix Park in South Dublin is the biggest wildlife reserve in Ireland. Spanning over 28 hectares of Phoenix Park, it is divided into areas named World of Cats, World of Primates, The Kaziranga Forest Trail, Fringes of the Arctic, African Plains, Birds, Reptiles, Plants, City Farm and Endangered Species. Tayto Park, Meath: If you know the Irish, then you know that we have a bit of an obsession with Tayto Crisps! 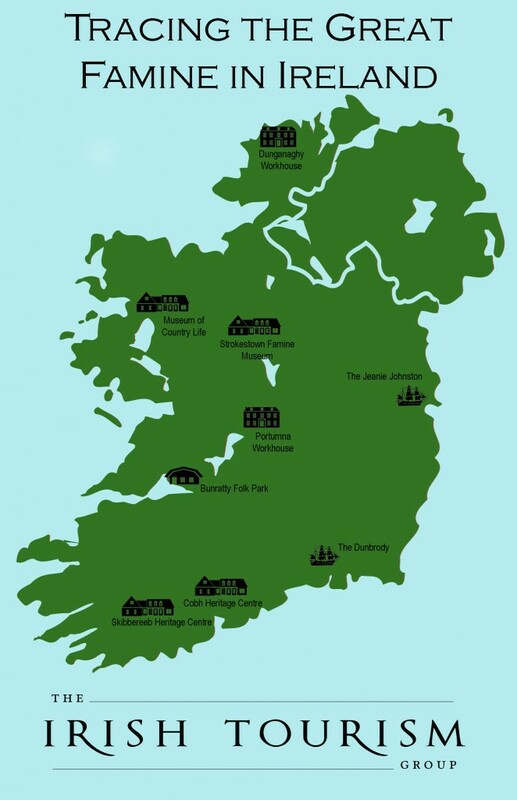 A number of years ago Tayto developed their own family fun Park and Nature reserve. I have been here a few times with my family and I have to say, it’s a great day out. They’ve got lots of animals and birds to see including Owls, Cranes, Geese, Goats, Cattle, Sheep, Pigs, Mountain Lions, Leopards and Tigers. 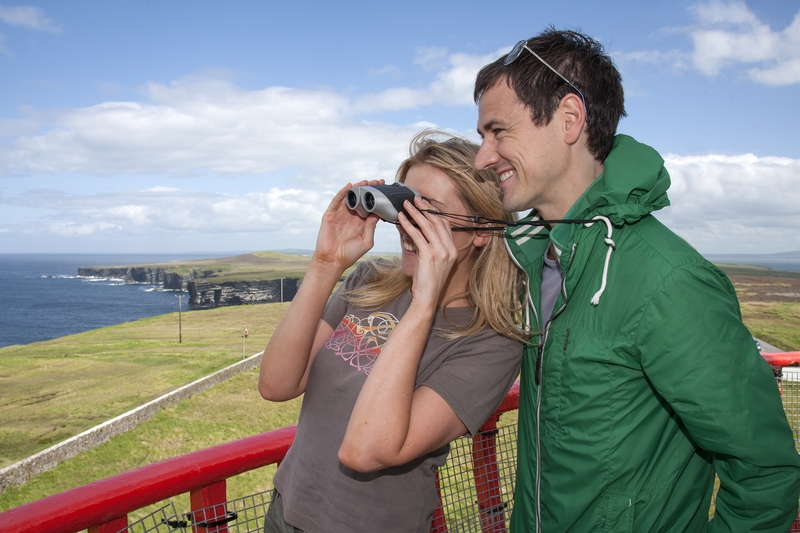 They also have several playgrounds, one of Ireland’s longest zip wires, a sky-walk and climbing wall. Please note, some things require additional cover charge. Fota Wildlife Park, Cork: The Fota Island estate was the home of the Smith-Barry family for about 800 years until it was sold to the University of Cork in 1975. The wild-life park opened to the general public in the summer of 1983 and now welcomes hundreds of thousands of visitors each year. 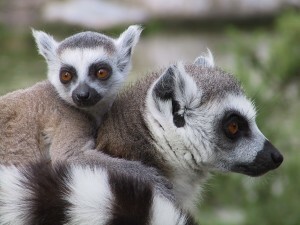 Animals include Tigers, White-faced Saki, Gibbon, Giraffe, Lemurs, Ostrich, Meerkat, Zebra and Kangaroo. The Park also has a great playground. Kissane’s Sheep Farm, Kerry: Kissane’s is a working sheep farm with more than 1000 working mountain sheep and hundreds of lambs. The family have two border Collies who expertly move the sheep where the farmer requires them. Sheepdog demonstrations as well as sheep shearing demonstrations are done regularly for guests. 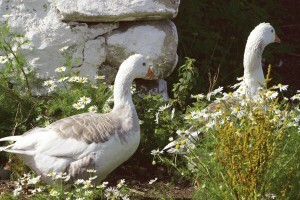 Rathbaun Farm, Galway: A visit to Rathbaun typically consists of watching the family’s trusty sheepdog ted rounding up the sheep, followed by a sheep shearing demonstration and time feeding the cute baby lambs! Who can resist some time with a cute baby lamb?! Stonehall Farm, Limerick: Stonehall is located in Curraghchase Forest Park (which has lovely forest walks by the way) in county Limerick. 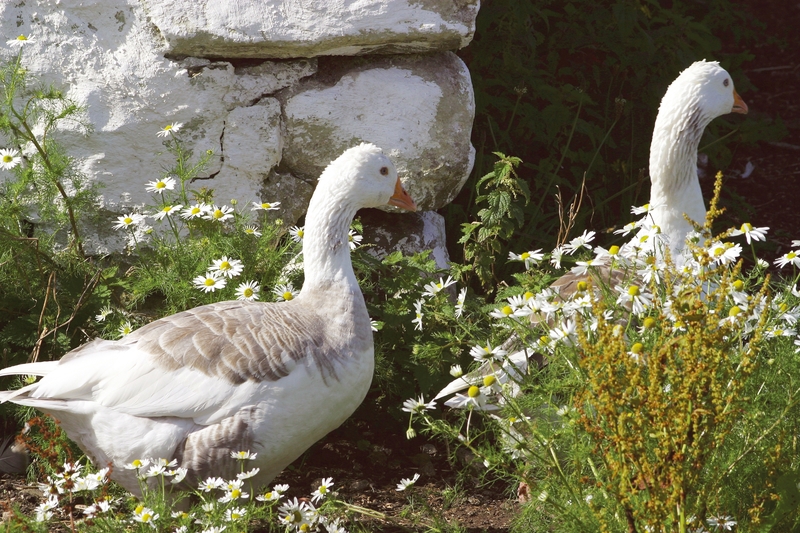 You will find an array of exotic and domestic animals on the farm including Ostriches, Emus, Llamas, Alpacas a variety of Birds of Prey and the domestic animal breeds including, Sheep, Ponies Ducks and Geese. They also have some great kids play facilities and a nice picnic area. 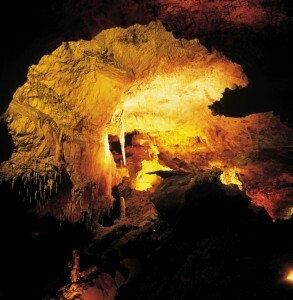 3- Check out some of our Cool Caves! 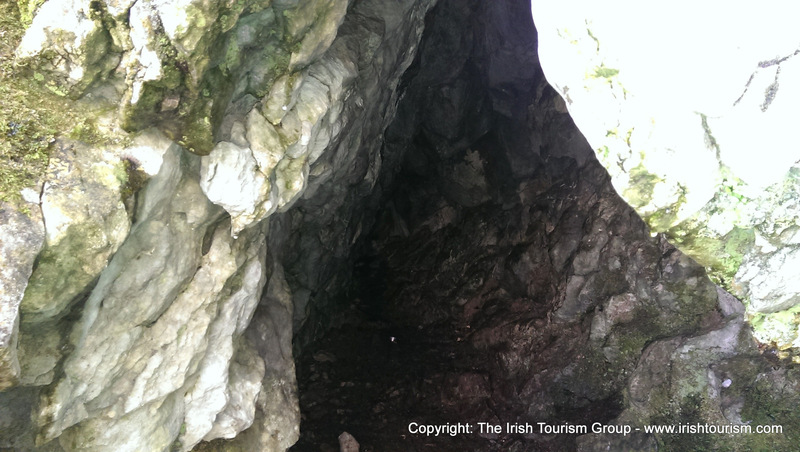 Crag Caves, Kerry: This 350m wonder offers an amazing insight into how caves are formed. Here you will find fantastic examples of pillars, stalagmites, stalactites, curtains, flowstones and straws that have been changing over the last 15,000 years. Crag Caves also have a great indoor and outdoor play area for kids and recently began to offer Falconry demonstrations where Eagles, Hawks, Falcons and Owls can be seen up close and personal! Mitchelstown Caves, Tipperary: On a guided tour of Michelstown Caves you witness caverns as high as 31 meters high, stalactites, stalagmites and one of Europe’s finest columns; the Tower of Babel. 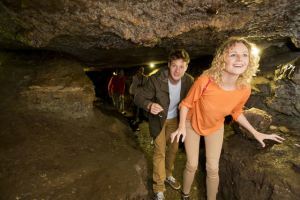 Doolin Caves, Clare: We like Doolin Caves for families because it’s got a great Cave system featuring the longest stalactite in the Northern Hemisphere but also because they have a great nature trail that kids love! The trail features goats, cattle, sheep and chickens and is included in the cave entry price. 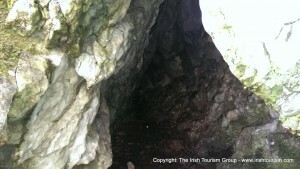 Aillwee Caves & Birds of Prey Centre, Clare: A tour through the caves in Aillwee caves entails a 30 minute stroll through their beautiful caverns, with internal bridges across the caves chasms witnessing unusual formations and by a really cool underground waterfall! On site, one can also find a Birds of prey centre with Eagles, Falcons, Hawks, and Owls from all over the world. 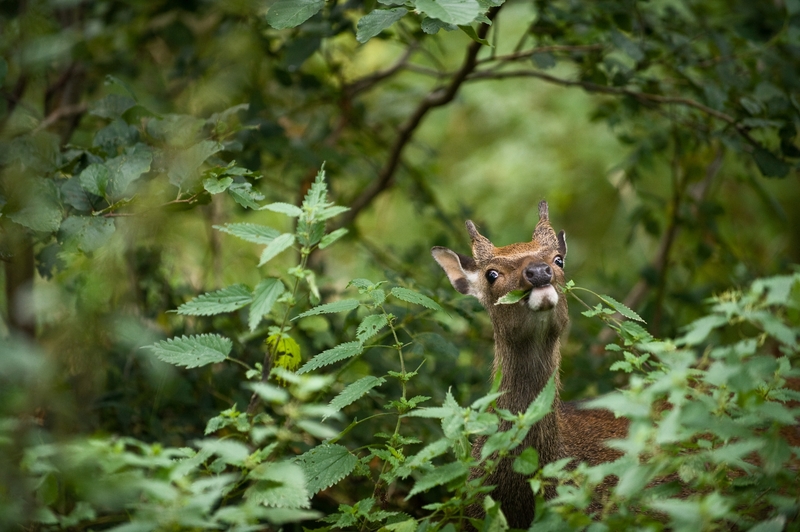 Killarney National Park, Kerry: This Park contains many features of national and international importance such as the native oakwoods and yew woods, and a herd of native red deer! 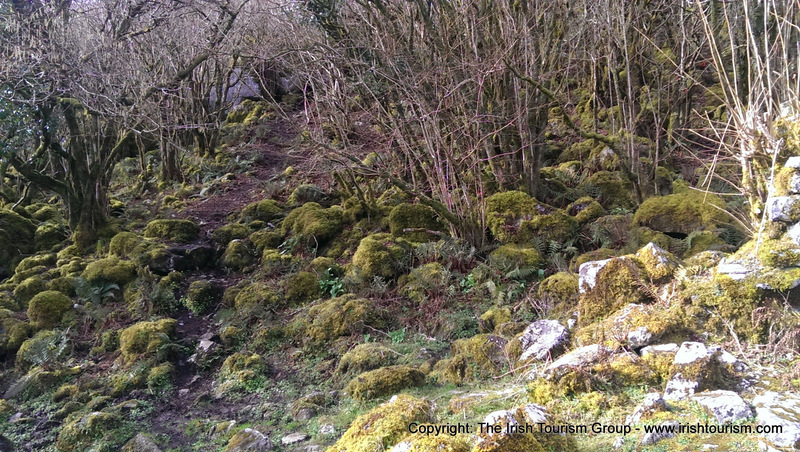 The Park is great for walks and cycling and bikes can be rented from a few places in Killarney town. 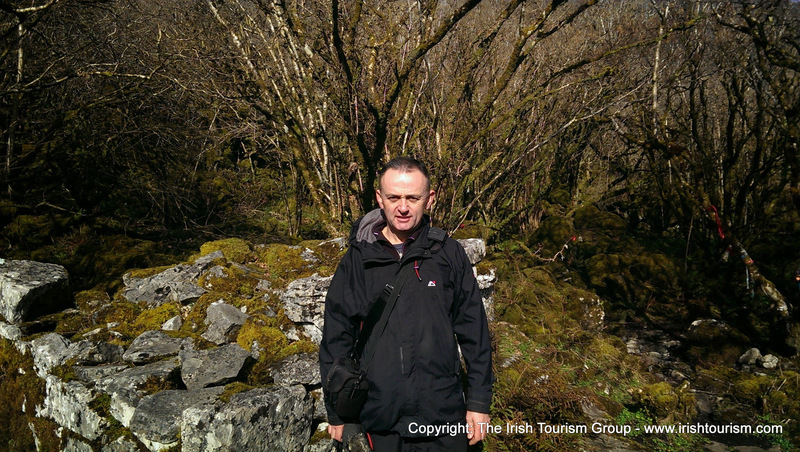 Do check out Muckross House if you get the opportunity. 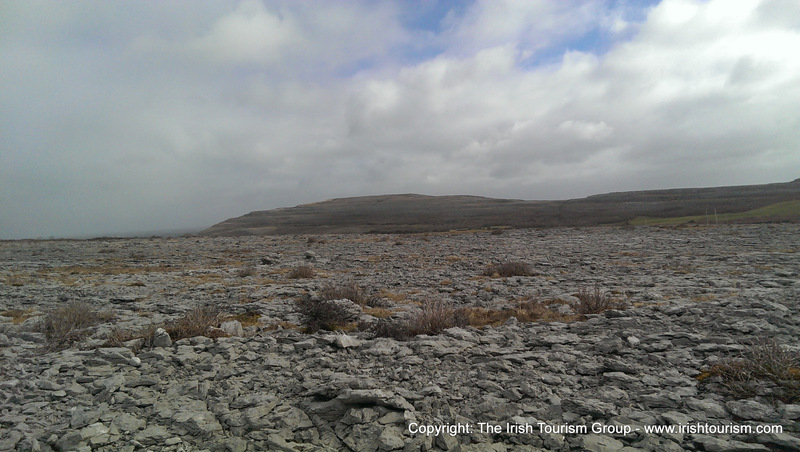 The Burren National Park, Clare: Situated in the south-eastern corner of the Burren, this park includes great examples of Limestone Pavements that are almost moonlike in appearance. 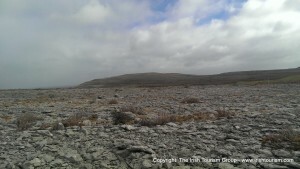 The Burren region is internationally famous for its unusual landscape and unique flora, found here are certain species of flowering plants which although rare elsewhere are abundant in the Burren. Even more remarkably they all survive in a landscape that appears to be composed entirely of rock! Connemara National Park, Galway: This Park covers around 2,957 hectares of rocky mountains, bogland, heaths, grass and woodland. The park contains many wildlife, flora and fauna. Kids love the heard of Connemara Pony that can be seen here. 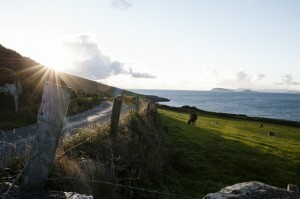 Although typically a domestic animal, this pony is very much part of the Connemara countryside. Wicklow Mountains National Park, Wicklow: The beautiful open vistas are broken up only by forestry plantations and the picturesque winding roads. 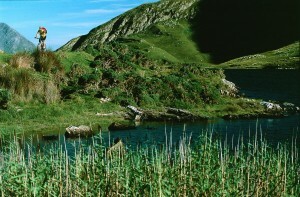 Fast-flowing rivers descend into the deep lakes of the wooded valleys and continue their course into the surrounding lowlands. 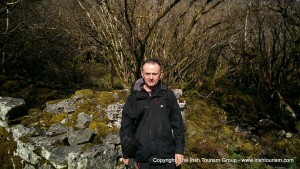 The most visited area is the attractive Glendalough Valley where the ancient monastic settlement of St. Kevin is located. Possibly the weirdest (but most craic) festival in Ireland! The Irish Red Head convention takes place every year toward the end of August in Crosshaven County Cork. The festival is growing in numbers every year and this year the numbers surpassed 3000! 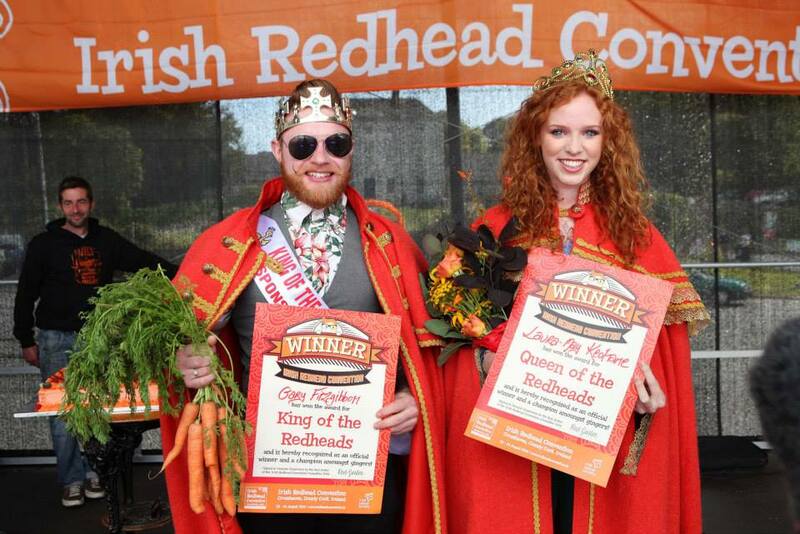 The festival is a true celebration of the red haired with the highlight of the weekend being the crowning of the new Ginger King & Queen! Other whacky activities at the convention include prizes for the best red eyebrows and the most freckles per square inch! The most recent festival goers enjoyed Ginger Speed Dating, Red-Head Pitch & Putt & the annual Carrot tossing pitch and Putt! One of the best things about the Irish Red Head convention is that by attending you are showing support and raising much needed funds for the Irish Cancer Society. If you’ve got some red locks to show off, why not make it your business to attend the next Irish Red Head Convention! When you ask about Romantic places in Ireland, most people will say the old favourites; the Ring of Kerry, The Cliffs of Moher etc. etc. and these are truly remarkable places but if you are looking for a romantic escape in Ireland with less crowds, then check out our top five ‘off the beaten track’ romantic places! 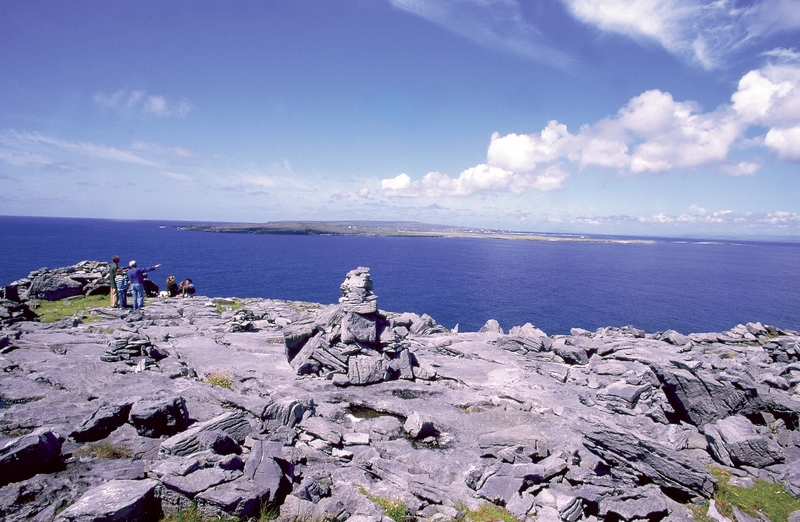 Loop Head is a finger of land pointing out to sea at the most westerly point of County Clare. Here you will find panoramic cliff views, abundant local restaurants, a great selection of water activities, and plenty of quiet spots to share a romantic moment. 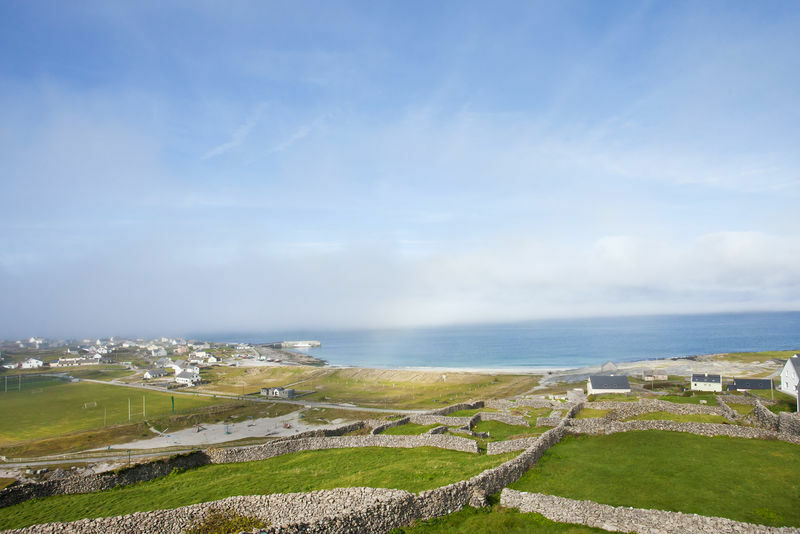 Visit the picturesque fishing village of Carrigaholt, Kilbaha, Cross and Loop Head’s main town; Kilkee which was frequented by Charlotte Bronte and Alfred Tennyson to name but a few. 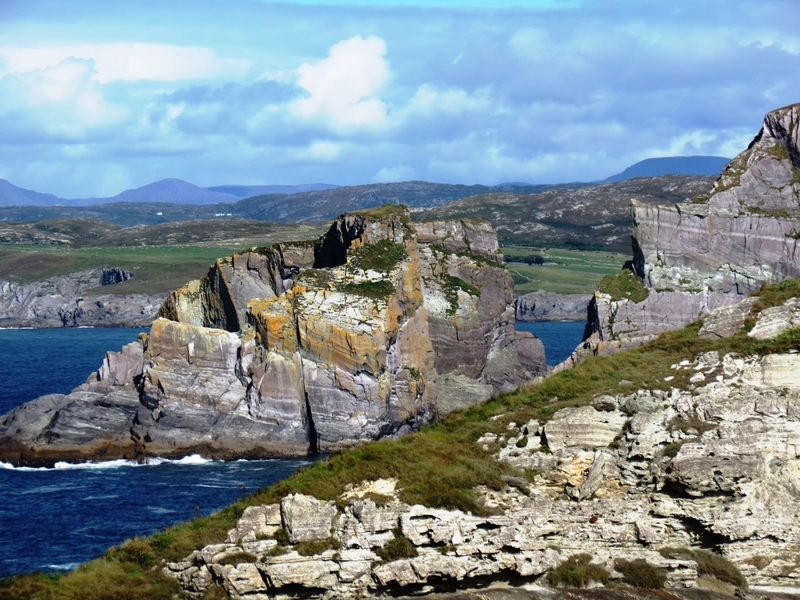 The most outstanding natural feature on a trip to Loop Head is the Bridges of Ross on the western side of Ross Bay harbour, looking north to the Atlantic Ocean. 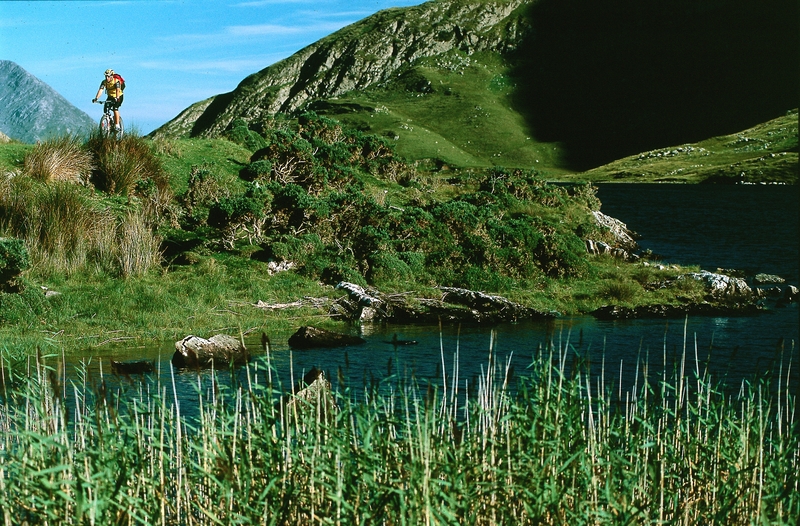 The Sheep’s Head Way runs from the tip of the unspoilt Sheep’s Head peninsula to the early Christian settlement at Gougane Barra. 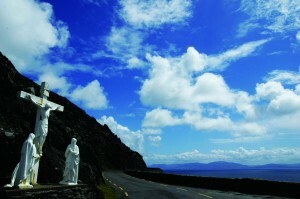 You might decide to take the ferry from Bantry town to Whiddy Island where stunning views back across the bay. Here you will find walking routes, and historic sites, the perfect place for a quiet romantic stroll. 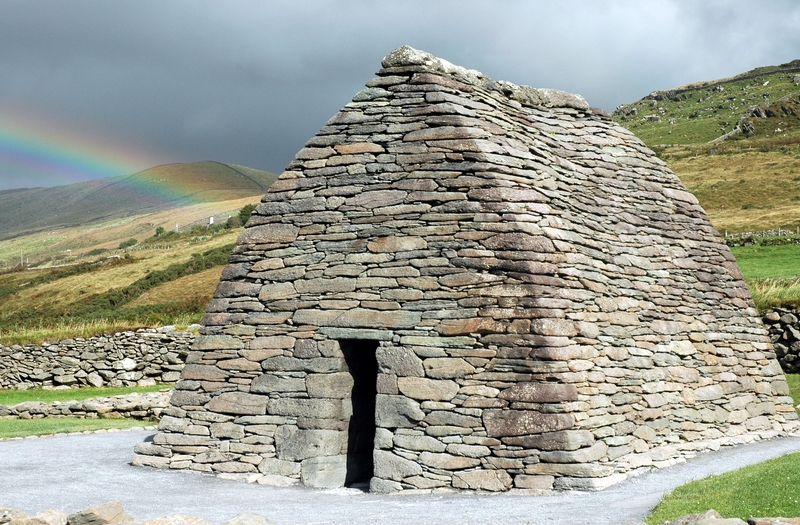 Also on the Sheep’s Head Way you will find a traditional spot for marriage proposals – The Marriage Stone at Caherurlagh where at one time simply passing your hand through the hole in the stone and holding your loved one’s hand on the other side, was enough to see you married! Finally we recommend taking a romantic picnic at Carriganass Castle. This location was a key staging post in the famous ‘Flight of the Earls’, the castle is a prominent and picturesque ruin overlooking a lovely waterfall. Is there anything more romantic than a stroll on a deserted island? We don’t think so. 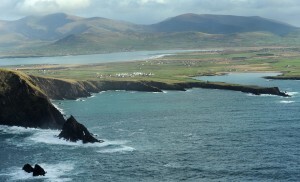 This island sits about 2km from the mainland at Dunmore Head on the Dingle Peninsula, 13KM west of Dingle Town, a ferry can be taken from the closest town, Dunquin. The island was inhabited until the 1950’s when the last residents were transferred to the mainland. 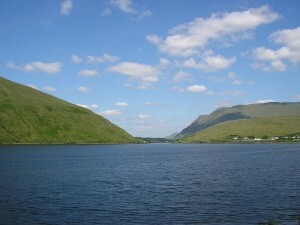 The island is unique because it has produced a remarkable number of gifted writers, the most famous of which being Peig Sayers. 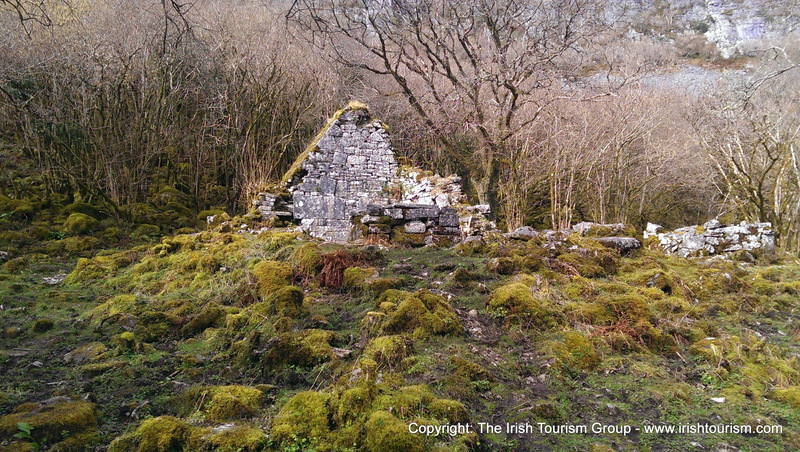 On the island you will find fantastic views and a number of abandoned buildings including the house of Peig Sayers. 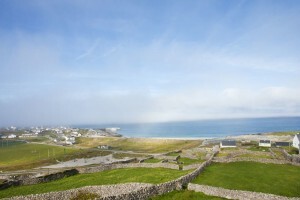 Inishmaan is the middle of the three main Aran Islands in Galway Bay on the west coast of Ireland. Here you will find narrow winding roads, sheltered paths and quiet trails across the small island, karst hillsides at the south of the island and deserted sandy beaches on the north shore. Visit the oval fort of Dún Chonchúir and the church of Mary Immaculate with its beautiful stained glass windows by the famous Harry Clarke Studios. 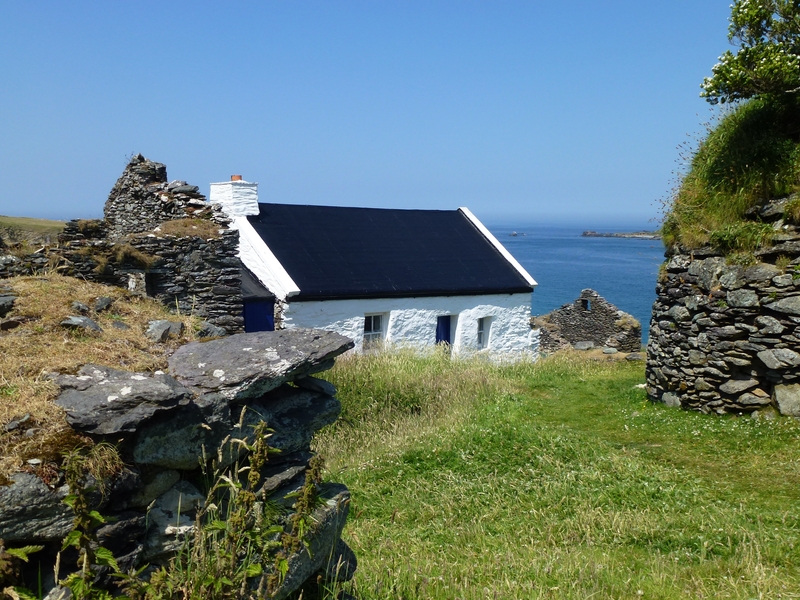 This enchanting island was visited often by the distinguished playwright John Millington Synge. It is the subject of numerous books, and proves continually to be of inspiration to visual, dramatic, literary and other artists. The Ring of Hook peninsula is dotted with ancient ruins, including castles, abbeys and forts and beautiful beaches. The drive encompasses rugged coastline and stunning views of the Saltee Islands and the fishing village of Dunmore East in Waterford. 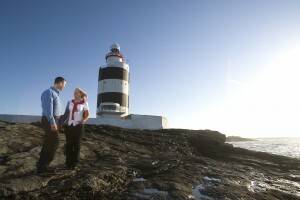 At the tip of the peninsula you will find Hook Lighthouse, the oldest working lighthouse in the world. We recommend a visit to Loftus Hall which overlooks the Three Sisters Estuary, the building is famed as being the most haunted building in Ireland. I will tell you this because it might help, even though I know that I will get stick for it in the office! When I was learning to drive here in Ireland, I would say to myself ‘left is the best for driving’ every time I got into the car, as I was petrified that I would drive on the wrong side of the road. 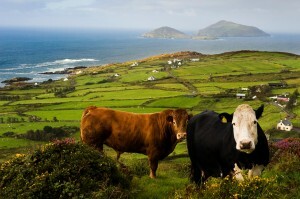 So remember my silly rhyme while you are in Ireland to remember that we drive on the left! 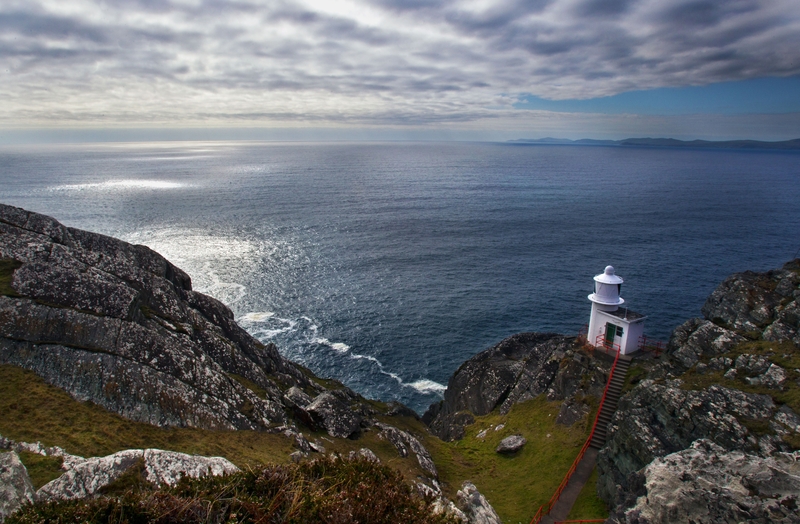 Ireland is known for its spectacular scenery, its wild Atlantic Ocean views and majestic mountain passes. 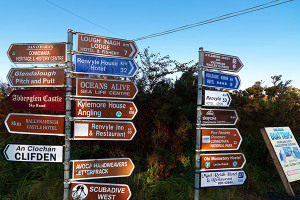 Ireland is not known however for its great directional signage! Some roads have many, more have too many (image) others have a few signs to tell you where to go and then some roads simply don’t have anything! This is something we complain about frequently and improvements have been made, but we have a long way to go before we are up to the standards of the rest of Europe. There isn’t anything you or I can do about that now, so the best thing to do, is prepare yourself! Buy a good road-map; the bookshops at the airport usually have up-to-date maps. Check the publication date and buy the one that was printed most recently. Plan out your route in advance and have a general idea of where you need to go. 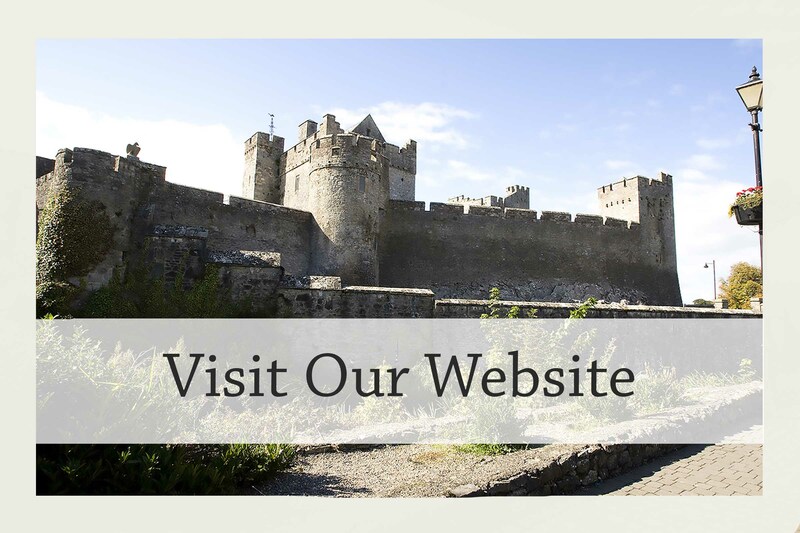 We provide a detailed itinerary with our self-drive tours of Ireland that usually has a number of ways to get to your destination, and this should help you plan. 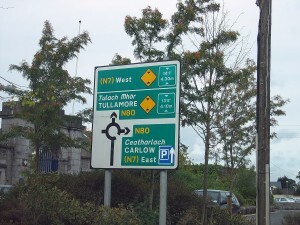 We know roundabouts are scarce in the United States & Canada but in Ireland prepare to encounter quite a few! 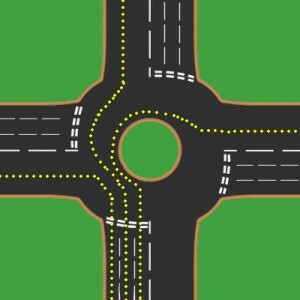 Don’t be scared though, roundabouts are generally harmless and easy to navigate once you are familiar with them. The first thing to do is be prepared. Know where you are going so that you can get into the correct lane. Always Yield to traffic approaching from your right and traffic that is already on the roundabout. 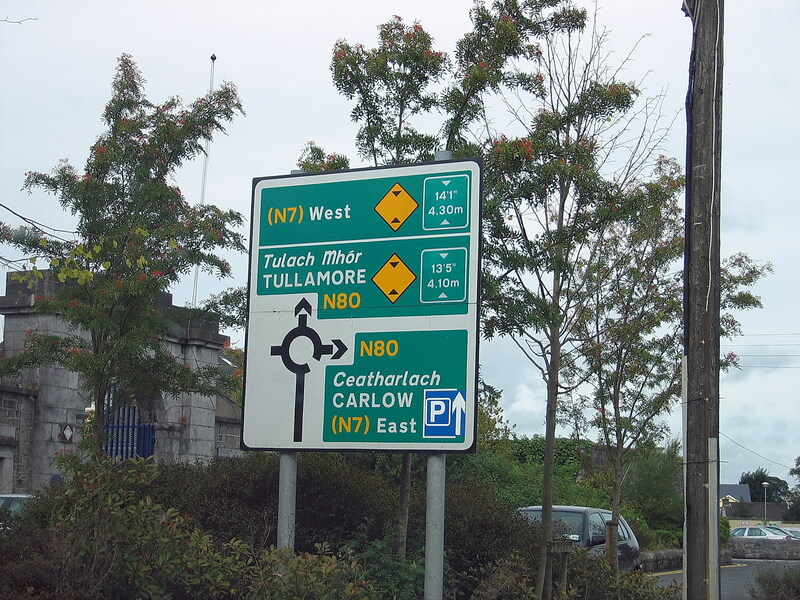 • Roundabouts in Ireland can have several exits and you need to be aware of the lane you should be in depending on which exit you are taking. • Generally a good rule of thumb is if you are taking any exit from the 6 o’clock to the 12 o’clock position, approach in the left-hand lane. • If taking the 2nd exit left: enter the roundabout in the left-hand lane but do not indicate until you have passed the 1st exit, then indicate a left turn and leave at the 2nd exit. 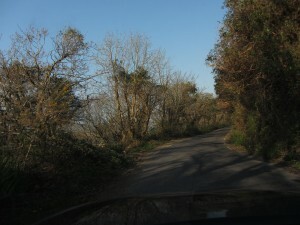 • If you are going straight on, do not indicate left until you have passed the exit before the one you intend to take. Extra care needs to be taken when there is no white line in the centre of the road. You need to use your personal judgement, sometimes there is enough space for two cars at either side of the road and sometimes there will only be space for one car and one of you will need to give right of way. Either way, drive slowly, especially around bends where there may be oncoming traffic, cyclists or walkers. Where there is not enough space for two cars you will notice lay by areas at the side of the road like the one pictured above. If the lay by is closest to you on your left, you would pull in here and leave the other car pass you by. If the layby is behind you, you may have to reverse. If there is no layby, you may need to use the entrance to a house or farm. Take your time, use your mirrors and be very careful. Watch out for signs in the area telling you want to do. 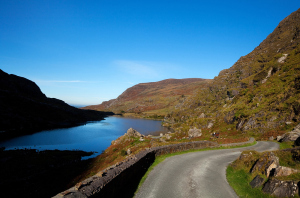 Remember, if you are nervous driving on our very narrow roads, you can always pre-book a day long coach tour in some of our top driving routes like the Dingle Peninsula & Ring of Kerry. For more information, please contact us. Pay attention to the signs where you are located. Don’t park beside a double yellow line and don’t park in a yellow grid box. Where possible choose a car park, we have plenty. Watch for signs telling you how to pay. Sometimes you need to purchase a parking disk (just ask where in the closest shop) and sometimes you need to pay in advance and display a parking ticket. If you have a disability, European Parking Cards (also known as Disabled Parking Permits) can be used by disabled people within the 25 member states of the EU. If you are visiting Ireland or are from outside of the EU you should bring your Disabled Parking Permit/European Parking Card with you. Your Disabled Parking Permit/European Parking Card should be visibly displayed in your parked car. If you meet a stranger coming towards you on a quiet country road and they give you a pleasant wave, don’t be alarmed! We are a friendly bunch and it not uncommon to wave at total strangers! If you pull into the slow lane to let a car pass you out, if they flash their back lights this means ‘hey, thanks a lot’! If you see someone flashing their lights as you drive towards them it means either there is some kind of danger nearby or the Gardaí are checking for speeding cars up ahead! (By the way, flashing your lights to tell people Gardaí are nearby is illegal so don’t do it yourself). 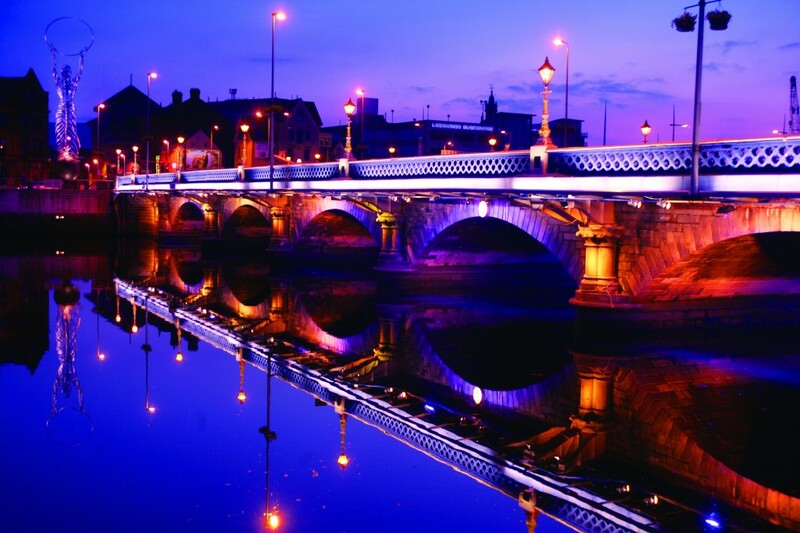 If you have a day to spend in Belfast on your Ireland vacation, here’s what we recommend that you see! If you have booked a trip to Southern Ireland, don’t rule out a day trip to Belfast City. Belfast City can be reached easily from Dublin’s Connolly station by train, the trip will take in the region of two hours each way. Belfast gained a bad name because of the frequent gun and bomb attacks in the city during ‘The Troubles’ from the 1960’s to the 1990’s. Today, the remnants of Belfast’s troubled past make it an interesting destination for tourists from all over world. One of the first questions people often ask us is; ‘Is it safe?’ We always give the same answer; Belfast is as safe now as any other City. Stick to the main tourist areas and you will be fine. Use your own common sense and at night don’t hang around on your own. We also advise not to ask the locals about the troubles, it is often something that people don’t like to discuss and may cause offence. Finally, avoid the city on the 12th of July due to traffic and other transportation disruption as a result of Orange Order parades. 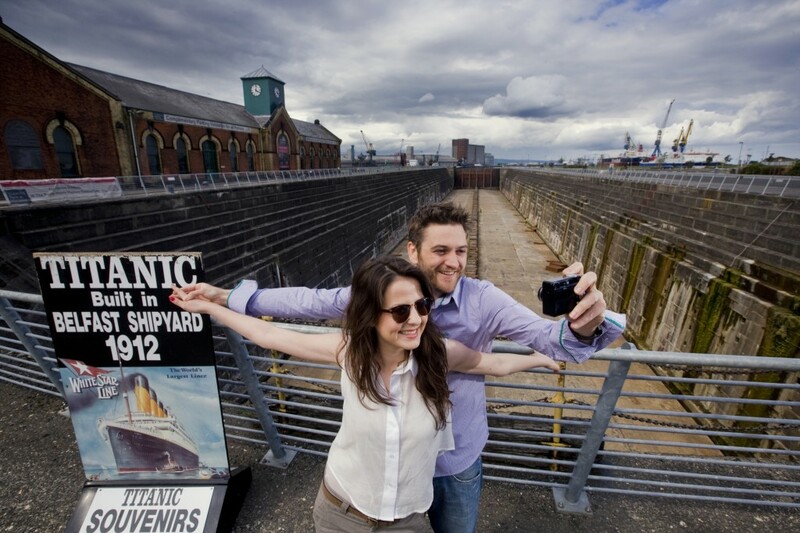 Titanic Belfast is one of Belfast’s newest and most popular museums, built on the site of the former Harland & Wolff shipyard where the Titanic was originally constructed. 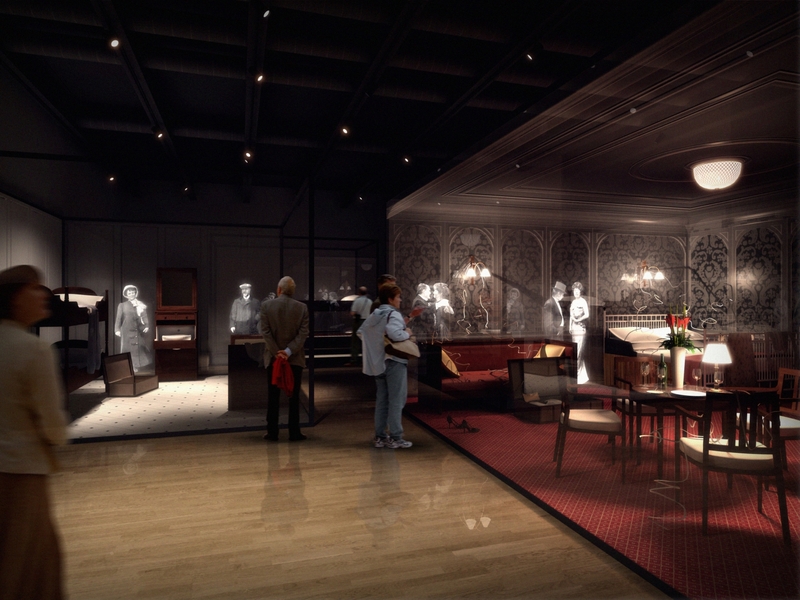 Galleries reconstruct scenes from Belfast at the time of its construction, the launch, the maiden voyage, the sinking and the aftermath. This museum is extremely interactive, with technology bringing each period to life. We advise pre-booking tickets as the centre does get extremely busy. The Crumlin Road Gaol dates back to 1845 and closed in 1996. Today you can enjoy a guided tour of the prison and hear about the history of the site from when women and children were held within its walls through to the political segregation of republican and loyalist prisoners. The highlight of this tour for many is the fascinating Condemned Man’s Cell and also the walk via the underground tunnel that was used to connect the gaol to the Crumlin Road Courthouse. 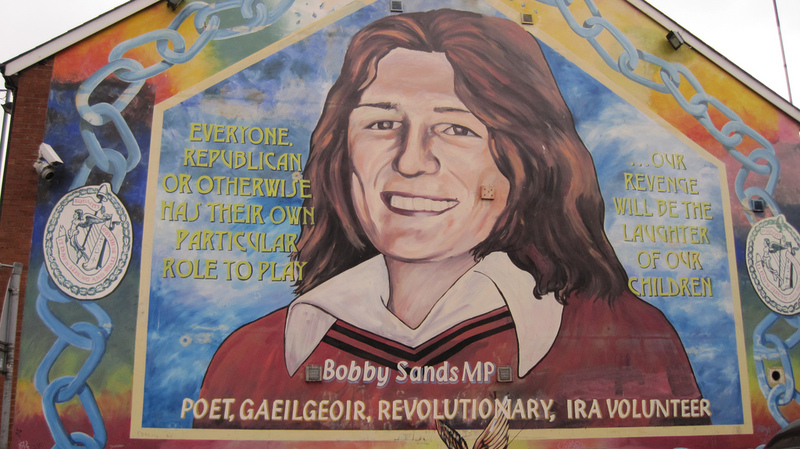 The Belfast murals have become symbols of Northern Ireland, depicting the religious and political divisions. The themes of the murals often reflect what is important to a particular community. The best examples can be seen on Shankill and Falls Road. 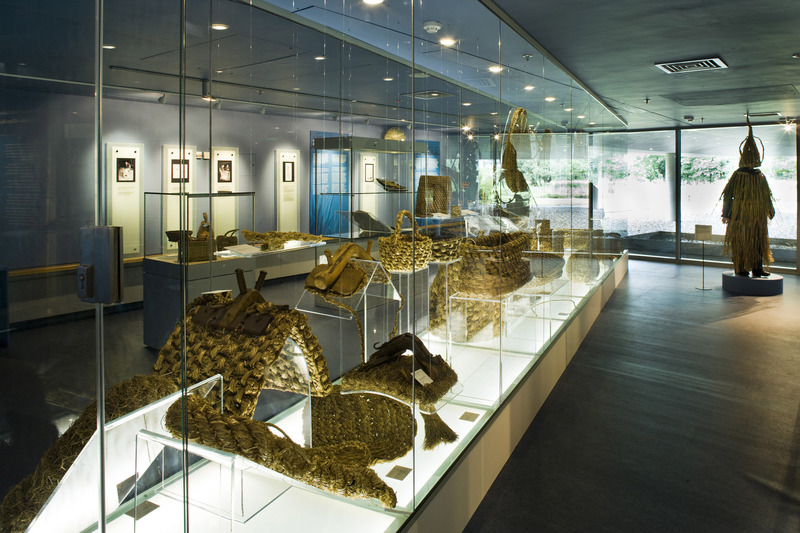 The Ulster Museum, located in the Botanic Gardens features collections of fine art, archaeology, ethnography, local history, industrial history, botany and geology. Admission to this museum is free. If you visit Belfast on a Friday to Sunday, a visit to St. George’s Market is a must. Friday morning is the best time to visit as you will find about 250 market stalls selling a variety of products including antiques, books, clothes, fruit, vegetables and fish. The market was built between 1890 and 1896, making it one of the oldest markets in operation. 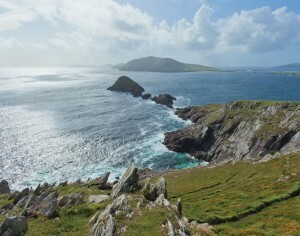 Dingle is a walker’s paradise due to its unspoilt landscape and breath-taking views. 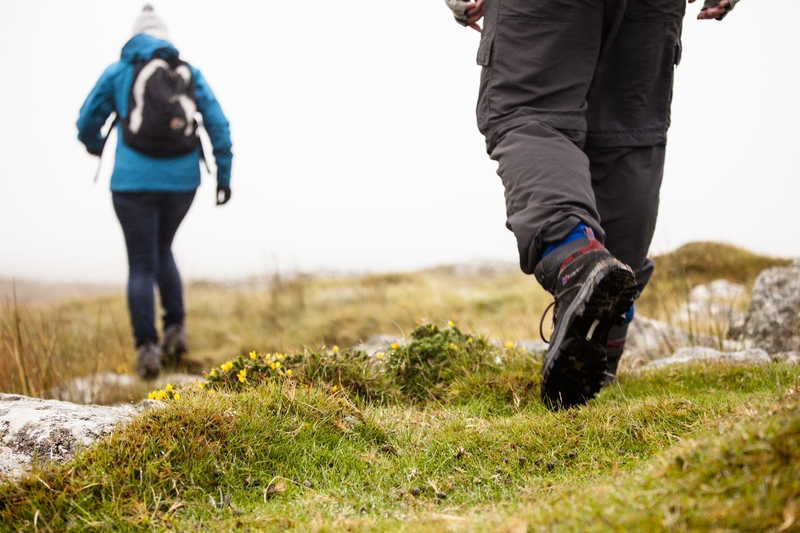 Dingle Walking Festival takes place in February and attendees have the opportunity to explore mountainous terrains as well as less strenuous but picturesque valleys. Dingle Film Festival The Dingle Film Festival is home to the Gregory Peck award and recipients have included Stephen Frears, Jim Sheridan and one of Ireland’s most famous actors, Gabriel Byrne. The festival usually takes place mid-March. 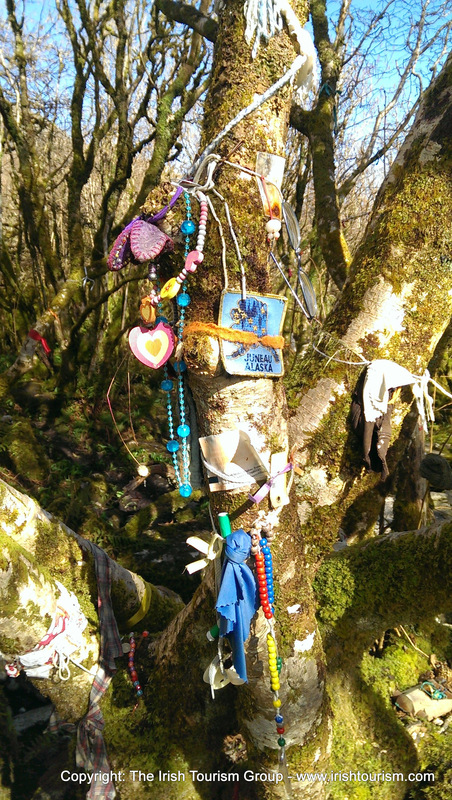 Féile na Bealtaine Féile na Bealtaine is an arts and culture festival which takes place in May every year and has been doing so for more than 20 years. The festival typically includes music concerts of all types, children’s events, art exhibitions, short and full length films, street theatre, comedy and poetry. The festival has lots to offer and a favourite of many is the annual sheep-dog trials! Brandon Regatta The last boat rowing contest of the summer, the Brandon Regatta takes place in late August every year. 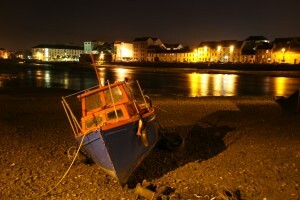 Enjoy watching boat racing from the pier whilst appreciating local music, song and festivities. 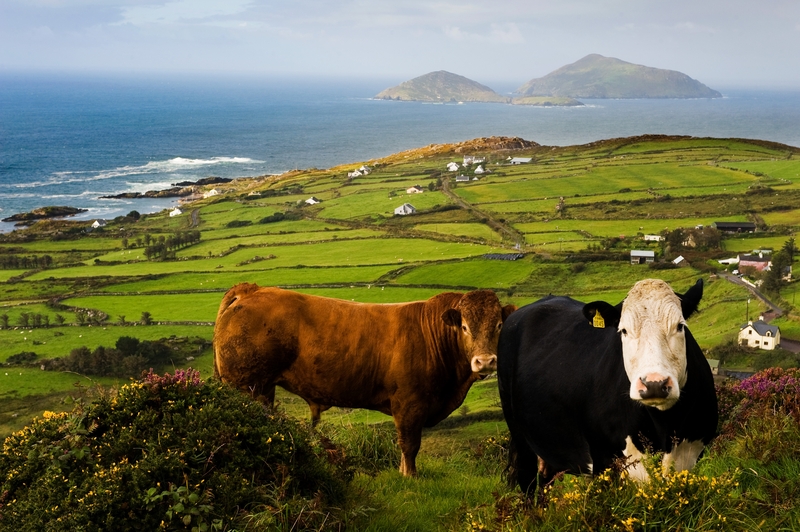 Dingle Races This festival is popular with locals and tourists alike and takes place at the end of August every year. It is the biggest of all flapper races in Ireland including many of the best horses from all over the country, and a variety of jockeys young and old. Dingle Tradfest Dingle Trad Fest takes place in mid-September. The aim of the celebration is to promote Irish music in an exciting new and unique way. The festival features both national and internationally acclaimed artists showcasing modern and traditional talents. 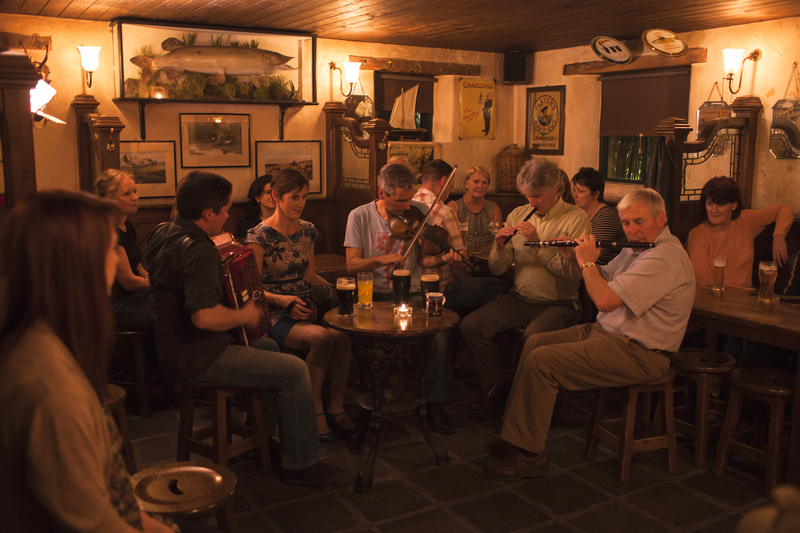 One of the highlights of the fest is the Saturday Night Trad-Disco! Dingle Food Festival Dingle Food Festival takes place in the beginning of October each year and includes a taste trail of over 60 outlets. Festival attendees purchase a book of tickets and can use them to taste in various locations including, restaurants, pubs, shops, galleries and restaurants. This is a fantastic opportunity to sample some of the fresh seafood for which Ireland is famous for. Dingle town is a colourful marine town; it is full of history, renowned for traditional Irish music and has fantastic food to cater for every taste and requirement. Ireland’s friendliest dolphin, Fungie is resident in Dingle Harbour and a boat trip to see him up close is delightful. Dingle Ocean World in Dingle town is also a lovely place to visit; they have a great selection of sea life including the newly installed Penguin display. 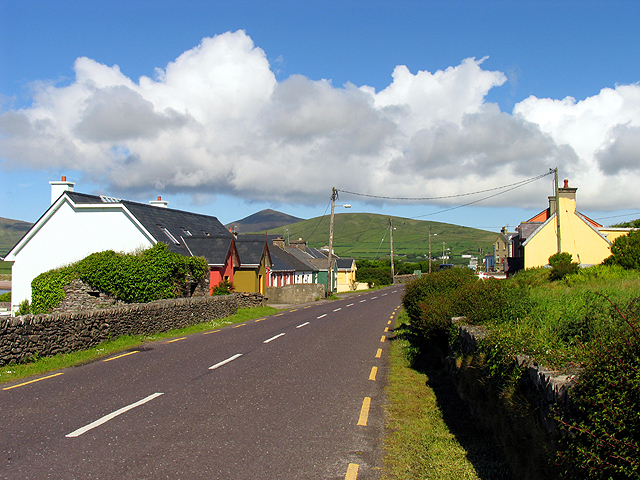 Ventry is a small village less about 7km west of Dingle. 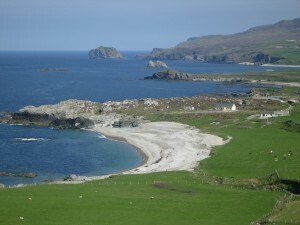 Ventry has one of Ireland’s best beaches, a golden sandy paradise that stretches for five miles. Sports enthusiasts will love Ventry as it was the home town of the GAA legend Páidi Ó Sé and the pub which he owned and ran can be visited in the village. 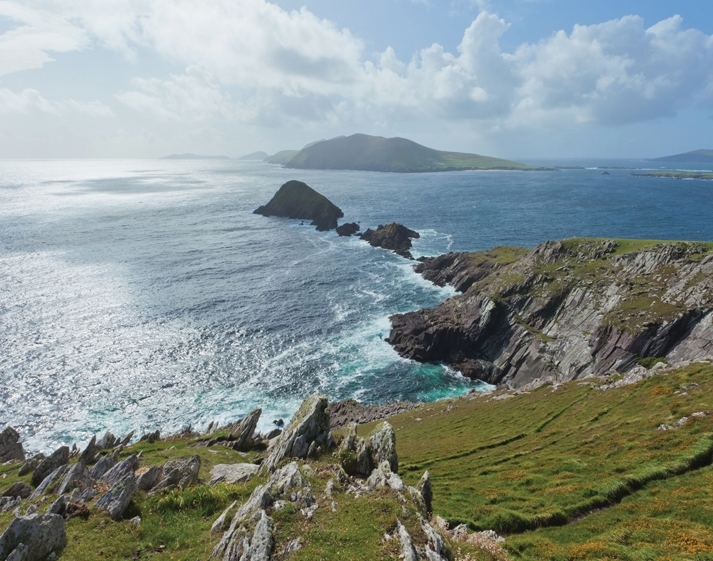 Marked by a Crusafix which the locals call ‘the cross’, the Blasket Islands come into full view here and the scenery is outstanding. 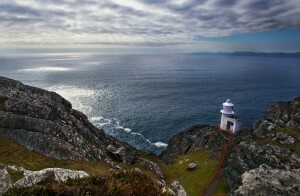 Dunmore head, further west offers more amazing views. 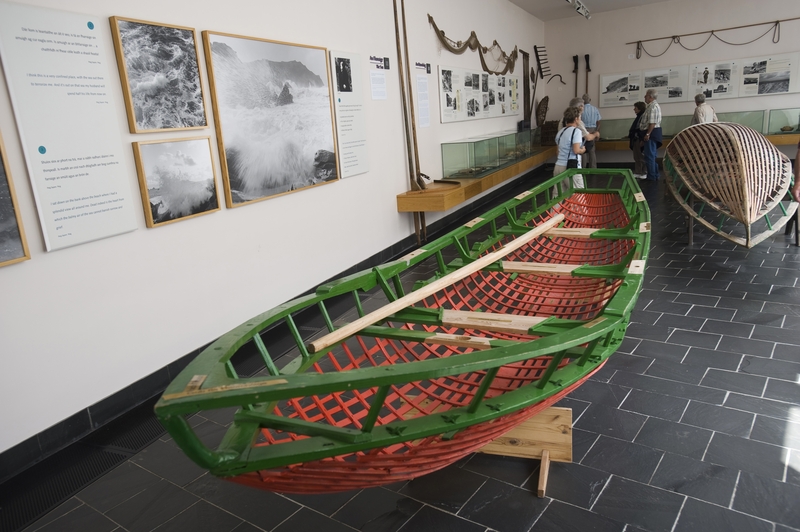 The Blasket Centre is a captivating centre honouring the unique community who resided on the isolated Blasket Islands until the government decided to evacuate them in 1953. The Blasket Islands are unique because they have produced many gifted writers, most notably; Peig Sayers. 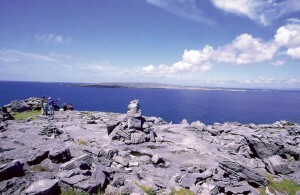 Boat trips can also be taken to visit the island from nearby Dún Chaoin Pier. Gallarus is a very quick stop, but well worth a look. It’s a very small early Christian Church. A local legend for Gallarus says that if a person can successfully climb through the small window at the back, then their soul will be cleansed. As you will see when you visit, this is a little bit difficult to do! 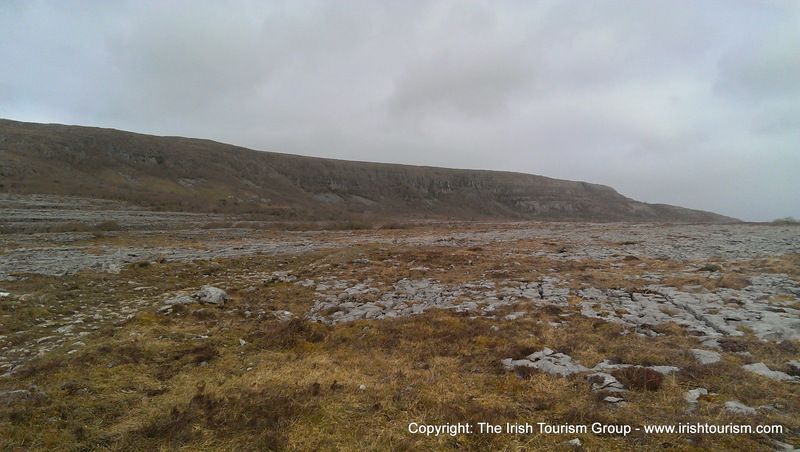 Today I had the pleasure of taking a guided Burren Walk with Tony Kirby of Heart of the Burren Walks and it was certainly an experience I would recommend to anyone! Of course it is possible take any of the Burren walking trails alone but having a local guide show you the finer details and tell you of the local history, I think is invaluable. These walks can now be booked through Irish Tourism as part of your package vacation. 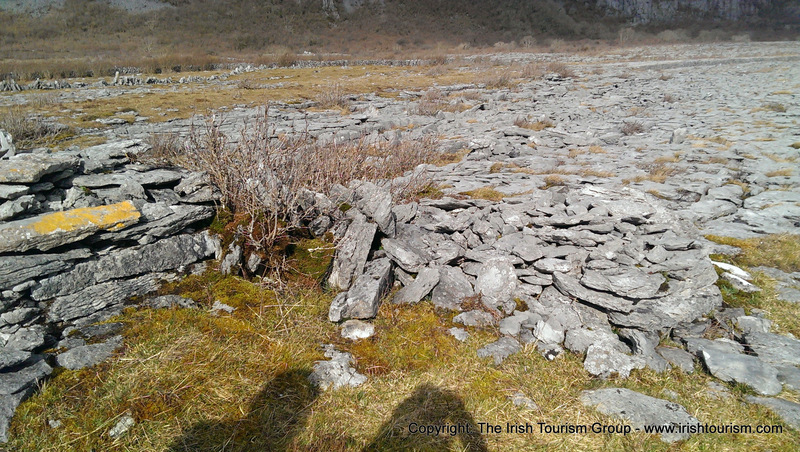 There are many walking paths in the Burren, today we took the path to St Colmans Hermitage in Carran, where it is believed that St. Colman Mac Duagh lived for seven years as a hermit and this area may have been associated also with Pre-Christian rituals. 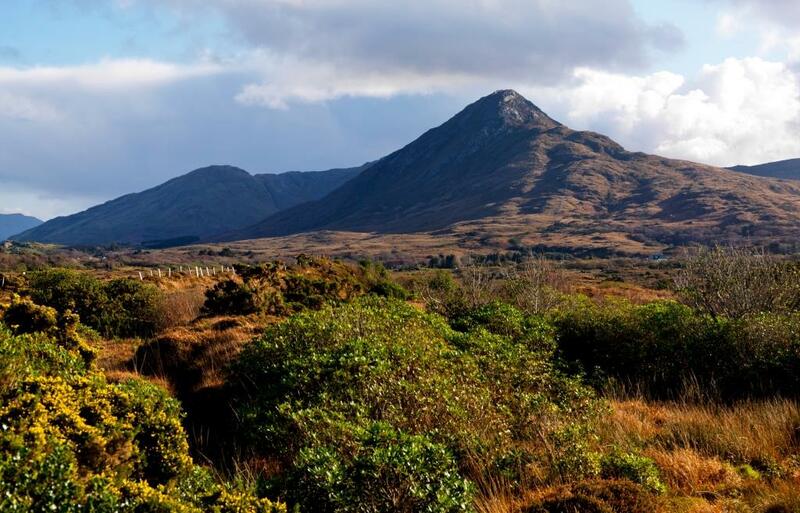 As you enter the nature reserve, Slievecarran is immediately in front of you; its slopes are known as Eagle’s Rock. 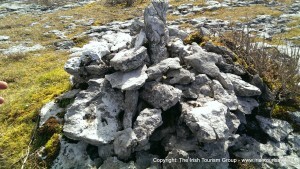 As you continue along the path if you turn North-East you are faced with the summit of Turlooughmore. 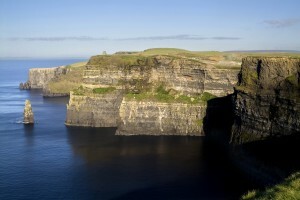 The circular gaps that can be seen are known as Leim an Phuca Mhoir (The big fairy’s Leap) and Leam an Phuca Bhig (the small fairy’s leap). This is the first station on the old Pilgrimage Route where pilgrims would say their first set of prayers to Saint Coleman. 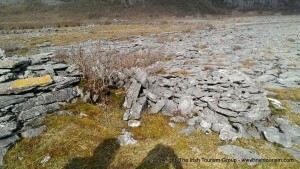 A rock standing upright in the centre indicates from a distance the route to take. Further along you will meet ‘The Man Servant’s Grave’. 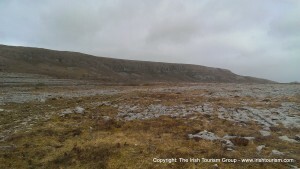 Legend has it that Saint Coleman was not alone during his time in the Burren, he was accompanies by a servant who according to legend is buried here. This is also a station on the pilgrimage route. When we arrived at the man servants grave, Tony begins to tell me about a local legend concerting saint Coleman and his servant and it goes something like this… Saint Coleman & his servant were fasting in in the hermitage and as they came towards the end of the Lenten fast period, a banquet feast could be heard from the nearby Dunguaire Castle. When the servant told Saint Coleman how hungry he was, the saint took pity on him and prayed on his behalf. At that moment, the dishes from the banquet suddenly took Flight and made their way to the hermitage with the banquet party following along angrily on horseback. St. Coleman prayed again and the horse’s hooves got stuck in the pavement. 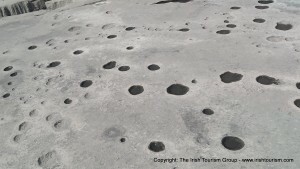 To this day, the marks from the horse’s hooves can be seen on the pavement nearby and this pavement is known as Bothar na Miasa which means, ‘the road of the dishes’. 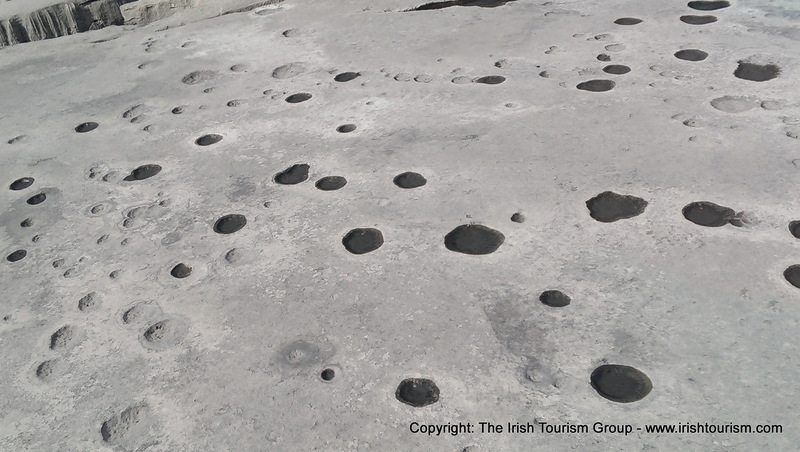 Of course we know now that the marks are from rainwater dissolving though the rock over time, but it’s a great story all the same! As you continue along Saint Coleman’s oratory can be seen. This building dates from the 11th century so it was built sometime after St. Coleman was believed to have been here. It was created at the spot and to the same dimensions as his wooden oratory would have been. 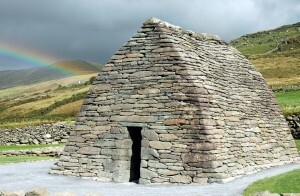 Follow the path directly behind the oratory and you come to Saint Coleman’s Cave or Saint Coleman’s leaba (bed) where it is thought Saint Coleman and his servant slept. 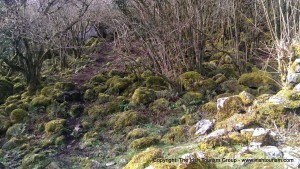 Just beside the oratory lies a holy well and many people believe its waters have healing properties. It is common for people to leave an offering or a piece of their clothing tied to the trees next to the well in hope of a cure to their ailment or suffering.